Megan Ming Francis, author of Civil Rights and the Making of the Modern American State, discusses how the NAACP created opportunities for black civil society to challenge Jim Crow. Moore v. Dempsey made clear that states could not always be trusted to properly deal with matters of criminal procedure and that, when state courts acted as a menace to equal rights, federal courts could intervene. In the decades that followed, the Supreme Court used the precedent established in Moore to expand its reach through a string of landmark decisions that scholars would consequently call “the criminal procedure revolution.” During this revolutionary moment, federal courts power grabbed from state courts, which helped to invent a stronger central state apparatus during the course of the 20th century. Moore v. Dempsey made clear that states could not always be trusted to properly deal with matters of criminal procedure and that, when state courts acted as a menace to equal rights, federal courts could intervene. However, in the voluminous literature that has been written about civil rights and constitutional law there exists not one account that has detailed at length, the theoretical and political stakes of the NAACP’s campaign against racial violence. Civil Rights and the Making of the Modern American State sheds light on this pivotal-yet-forgotten chapter of American politics. People often ask how I decided to focus my book on the NAACP’s campaign against racist violence and my answer is always the same: by mistake! I never imagined I would write this book but as I spent more and more time in the NAACP archives at the Library of Congress, I found myself piecing together an exciting story that I had never learned in all of my studies about how the NAACP fought for the right to live before the organization fought for the end to segregated education. I was blown away and came to realize that the structure and expertise of the NAACP, which allowed it to play the role it did during the Brown era of civil rights, was determined by a series of earlier events that set it down that path. 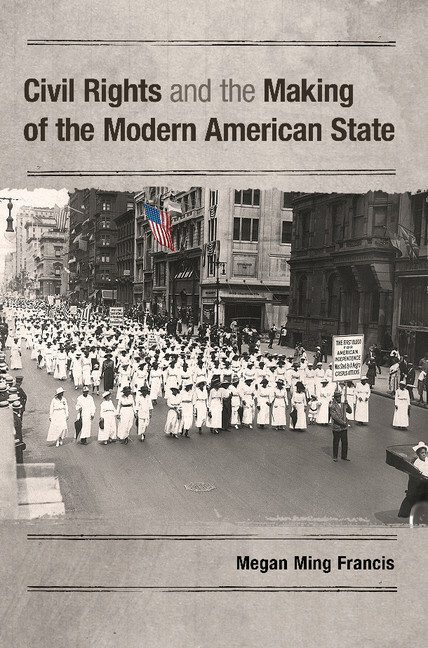 With this book, I hope to bring the political work and the voices of African Americans out of the shadows and into the forefront of how we think about political and constitutional development in the early 20th century. The NAACP’s campaign to end racial violence provides compelling evidence that political institutions can sometimes reflect the expressions of society’s preferences. Put simply: institutional development derives from the tension between powerful actors and those who contest and critique the projects they seek to implement. The effort that culminated in Moore v. Dempsey in particular, exemplifies how the NAACP created opportunities for black civil society to challenge Jim Crow (via criminal court trials) and how the organization ultimately pushed the federal government in a new direction.